"What is the best novel you've ever read about science or scientists and why was it so good?" Please leave your answers in the comments below, but also send them to readers@maryhoffman.co.uk so that winners can be contacted. Closing date 7th July. Sorry, but our competitions are open to UK residents only. 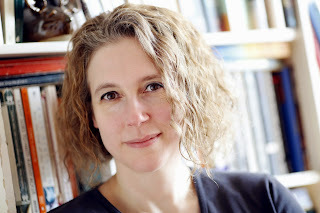 It's a great pleasure to welcome Rebecca Mascull to the blog today. 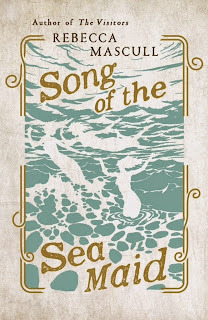 Her new novel, SONG OF THE SEA MAID, is out this month and tells the haunting story of Dawnay Price, an eighteenth-century anomaly. Dawnay is an educated foundling who overcomes her origins to become a natural philosopher, setting sail for Portugal to develop her scientific theories. She discovers rather more than she anticipated, not least about herself. Tomorrow, if you're lucky, you can win a copy of the book. This interview should whet your appetite. Like her heroine, Rebecca lives by the sea, but in the east of England, with her partner Simon and their daughter Poppy. She has worked in education and has a Masters in Writing. Her first novel THE VISITORS tells the story of a deaf-blind child in Victorian Kent and was published by Hodder & Stoughton in 2014. She is currently working on her third novel for Hodder. The idea for this novel has been with me for years and in all that time I would just call it Science Novel! It all started with the What If scenario: what if someone in ages past had a brilliant scientific idea, but because they were in the wrong place at the wrong time, nobody ever heard about it. As my character’s idea was linked to the theory of evolution, I thought it might be interesting to set it a good hundred years or so before Darwin, in order to explore how some groundbreaking ideas are present in the history of thought before they are brought to fruition by one seemingly isolated genius. It was just a hunch, but when I started to research the history of 17th and 18th-century science, I discovered this to be absolutely true. Then I had to decide when in the 18th-century I wanted Dawnay to live. I knew there was going to be a naval battle, so I looked into wars in that period and it turns out that Europe were at war for almost the entire century! 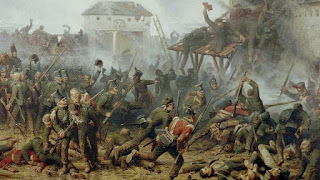 I also knew that the Napoleonic wars have been done quite extensively in novels, so I fancied finding an aspect of 18th-century war that was less widely known. By watching Kubrick’s film Barry Lyndon, (which I sought out to experience his beautiful authentic lighting – the “huddle and glow” of the 18th-century), I stumbled across the Seven Years’ War, which I then realised was also satirised in Voltaire’s Candide, which I’d also just read for research. Once I’d chosen that period, and started to read about science and society at that time, the rest of the ingredients just fell into place. The few women who did manage to engage in scientific activity during the Enlightenment – and they are hardly household names - generally seem to have come from wealthy, privileged backgrounds, but Dawnay starts the story a nobody with nothing, entirely alone in the world. Why was that important? We all know money talks. It’s easier to be heard when you’ve got a bit of capital and position behind you. Being heard and recorded by history often requires a certain set of fortunate circumstances for the speaker. Those who are disenfranchised at any point in history usually don’t get heard. In Dawnay’s era, that list would include the poor and women, particularly poor women. In my 20s, it occurred to me that there were very few women in the history of great endeavours and I knew instinctively that this could not be because of their capabilities. I assumed it was because of their lack of education and that such ambitions would have been discouraged for females. What I’ve realised now is that there were women doing and thinking extraordinary things, it’s just that no one bothered to record them. Even wealthy female scientists were not taken seriously by many, were banned from attending and certainly speaking at scientific events, and some even had their work attributed to male colleagues or relations. If you were poor and had no position in society, those problems were compounded hugely. Thinking this through, I’ve come to believe that many great ideas may have been lost in the history of thought because the thinkers did not have the right credentials. I did experiment with different voices when I started writing the first draft. I tried third person and past tense, but I just had this image of the little girl in the street with her brother stealing pies, and it felt like an urgent situation, in which the past tense third person didn’t seem to fit. Once I changed it to first person present tense, it just took on a life of its own and then I was off. Also, that idea of hidden histories and silenced voices being heard meant that it felt imperative that Dawnay tell her own story. 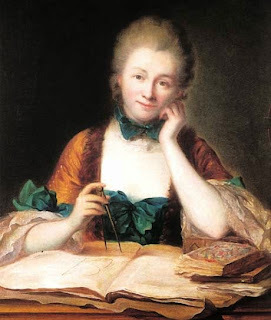 I read a lot of fiction and non-fiction written in the C18th and made notes on the conventions of prose in that era. I decided that to include them all would probably alienate a modern reader; for example, some of them are very distracting, such as the use of capitalising the initial letter e.g. Thus my Pride, not my Principle, my Money, not my Virtue, kept me Honest. 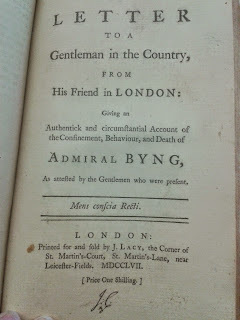 In the end, I chose to give a flavour of 18th-century prose through Dawnay’s choice of vocabulary and sentence structure, rather than bash the reader over the head too much authenticity. 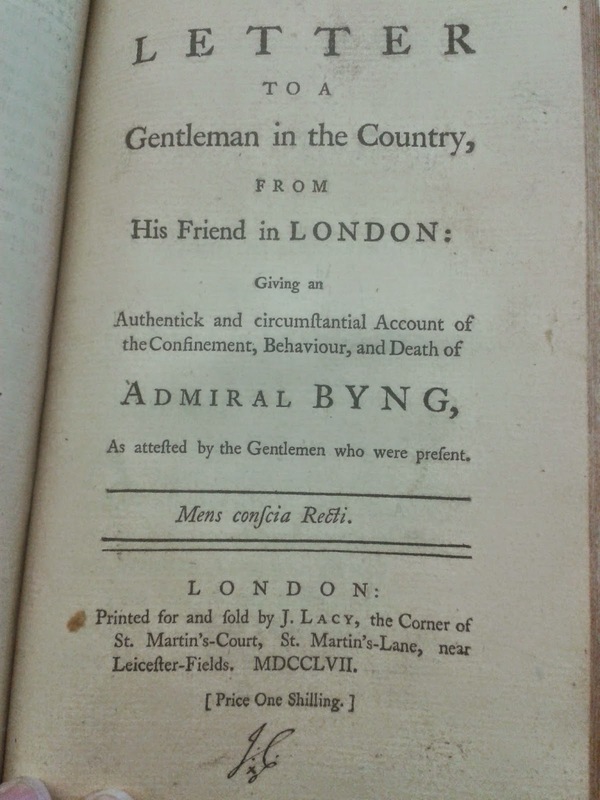 The history of this novel’s title is quite a chequered one! Whilst writing, it was called The Edge of the Map and was submitted to the publisher with that title. It’s mentioned in the novel a couple of times and sums up many of the themes. But it was felt that it didn’t have the right appeal for the audience, so then we had to think up another. The Orphan Myth was indeed an early possibility – well spotted! But again it was generally felt that it had a mournful sound to it and therefore didn’t really suit the narrative – and had those awkward ph/th sounds! We went through many ideas, with just about everyone in the know chipping in different suggestions, mostly revolving around mermaids and caves. Then I corresponded with Dr Jane McKay – who lectured on mermaids – and she suggested I look at T.S. Eliot’s Prufrock, which includes ‘”sea-girls” and the “mermaids singing each to each”. I also consulted my trusty Dictionary of Quotations and Proverbs and found a line from Shakespeare: the “sea-maid’s music” (A Midsummer Night’s Dream). It was such an evocative and archaic word for mermaids and avoided, I felt, the negative connotations of them i.e. luring men to their death, yet also being rather girly and, of course, fairy tale-like. 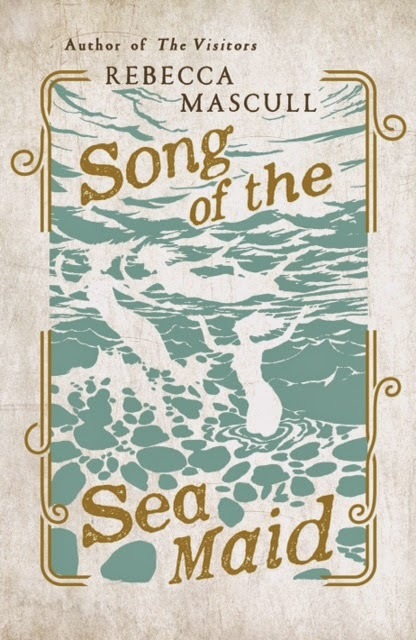 So, sea maid it was – and then I realized that it would fit rather beautifully if the cave painting could be seen as a song about our past, and that Dawnay too was a kind of sea maid (swimming and discovering) and that the whole novel was her song. Lastly, I think it just sounds lovely too! How did the process of writing and research affect your understanding of the role played by imagination in scientific discovery? That’s a tremendously interesting question! I don’t have a scientific mind myself, though I have always been fascinated by science and wished I had the brain to understand it! Yes, I do wonder if scientists and artists have that one thing in common - that they have to imagine truths before they necessarily find the evidence to support them. My brother David (who has that scientific brain I lack) has always told me a lot about theoretical physics and such things, and it’s caught my imagination many times, with the part played by theories and ideas, for which the finding of evidence is incredibly difficult. So, I do think some areas of science require a creative way of thinking to come up with the ideas in the first place. The same is true of palaeontology - the evidence is so scant and hard to find, that many theories have come into being over the years based on little evidence other than our own imagination of what these bones may represent. What I discovered in my research, is that this reliance on imagination can sometimes lead to a terrible bias towards the discoverer e.g. in researching early humans and, in particular, cave paintings, I found a distinct bias towards males as artists, and males in general as the leaders of evolution. This really pissed me off!! Were you able to travel to the settings of the book yourself, and how did you come up with the idea of Dawnay’s cave (which has intriguing echoes of King Solomon’s Mines…)? In terms of London, I did visit the Coram orphanage Museum and also Dr Johnson’s house, to get a feel for 18th-century London. Further afield, I have spent time in both Spain and Portugal - I travelled to both countries as an 18-year-old and again spent time in Spain when I studied Spanish as part of my degree. I am a total Hispanophile - I love Spanish literature, film, music and art, as well as its history (and I know we share a love of the Spanish Civil War, Lydia! ), so it was a delight to set parts of the novel in this region. Dawnay’s cave itself is a product of my imagination. 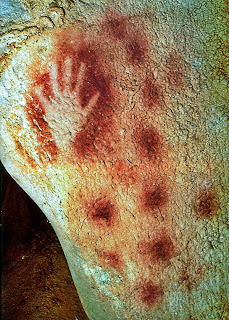 However, I did visit ancient cave art in northern Spain as a student and saw the handprints of early humans in red paint on the cave walls and was so moved. It has always stayed with me. I researched the many forms of cave art and found examples of mermaids from different cultures on the walls of caves, as well as examples of seals and fish from cultures living close to the sea. So, it is my own invention but it is grounded in existing cave art. And new caves are being discovered, so who knows what else is out there waiting for us to find…? Your debut novel was set in the late nineteenth century, this a century earlier. 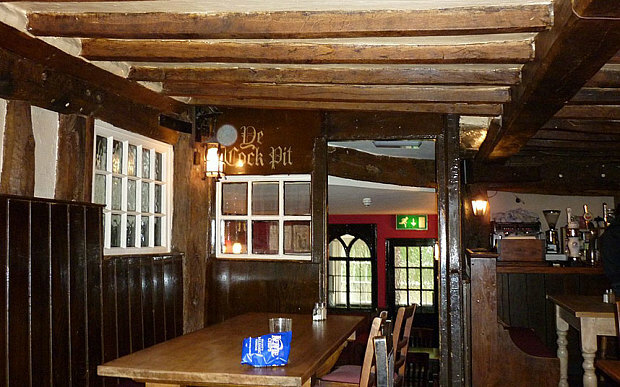 Can we expect a seventeenth-century setting for your next book? Ah, well, I have to say I’m not as organised as that! My brain doesn’t work very chronologically - I’d say I have a butterfly mind that flits from subject to subject. I’m currently working on Book 3 and it’s actually set in the early 20th century, beginning in 1909 and I plan to end it in 1919. I have a title, setting and an idea in mind for Book 4, but I’m really not sure when that one is going to be set - possibly 19th-century, possibly World War II… who knows! It’ll all come out in the wash.
Voltaire famously argued that ‘we owe respect to the living. To the dead we owe only the truth’. 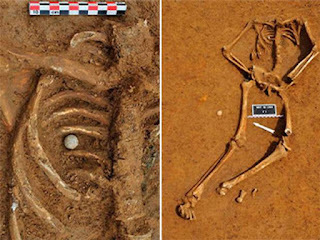 Do we teach disrespect to the living by displaying the bones of the dead, or do we teach history? Private Brandt signed up to fight the French under Napoleon, not to champion the teaching of history or the humanity of his fellow-fallen. However, in life he also sought adventure rather than peace. If he has no traceable descendents, who is to say whether a quiet burial would be a mark of greater respect than his redeployment to promote an understanding of the cause for which he gave his life? I would certainly prefer to be useful post-mortem, but I doubt that such a role was something Private Brandt envisaged or would have aspired to. More broadly, what is it that makes the display of Private Brandt’s remains so much more provocative than those of the Ancient Egyptians, or other human reliquary? 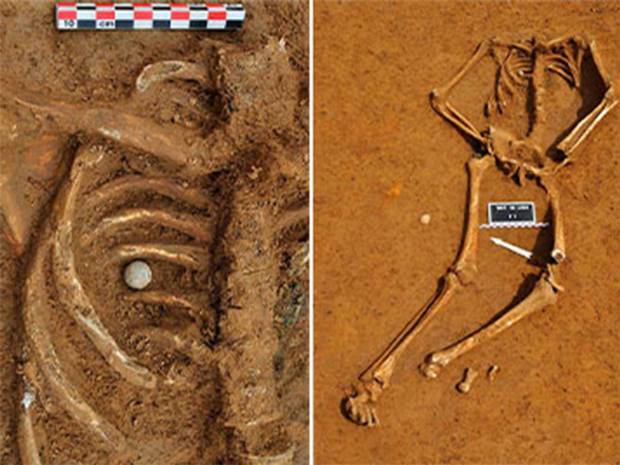 At what point, if ever, and under what terms, do bones become historic artifact rather than human remains? Is it the relatively young age of Private Brandt's skeleton, or is it something else that makes this display seem so disrespectful, such as the familiarity of his name? Or is it the fact that we have marked so many military anniversaries recently and honoured so many dead, and because we have developed such a culture of respect for fallen military heroes? 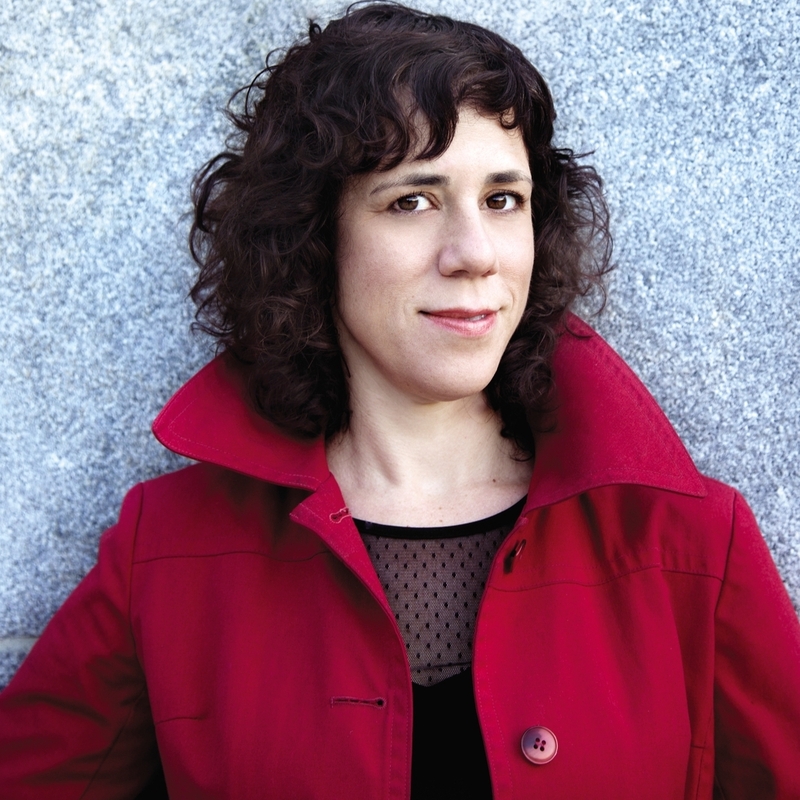 This is Jami Attenberg, a young Brooklyn novelist who is as good as they all wish they were. You may have seen her earlier novel The Middlesteins, which dismembers a 'typical' American Jewish family and their entanglement in food and love and fear and greed and insecurity and their mother, who is, perhaps, or perhaps not, eating herself to death. I liked this book so much I did that sneaky thing a novelist can do in this miraculous century - I located the author, and met her, and got to be her friend. 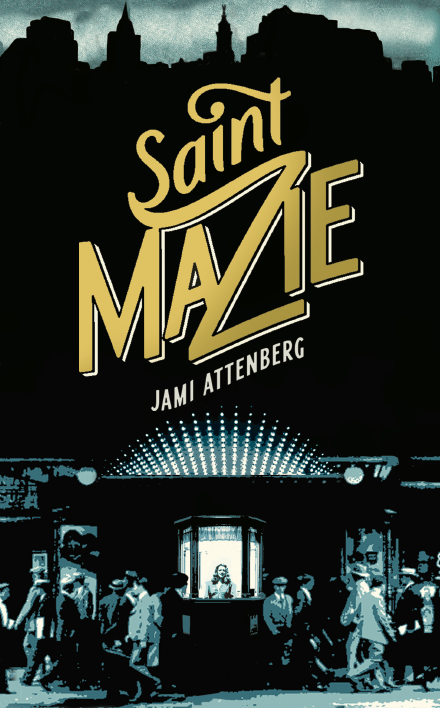 When I did so, Jami was in the middle of the novel which has just come out: Saint Mazie. She talked about this woman, Mazie Gordon, who was angelic and diabolical and may have written a memoir of her extraordinary life, only probably not, and how she, Jami, had realised that if it didn't exist she wanted to write it - and I would prod her, transatlantically, willing her to get on with it, so that I could get on and read it. Mazie Phillips Gordon was a 'well-known figure', as they say, on the Lower East Side of Manhattan in the 20s and 30s. 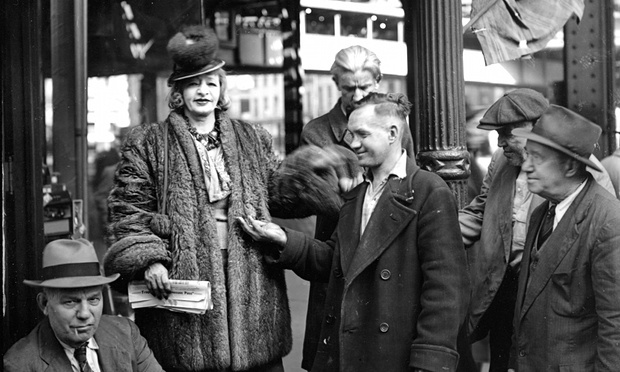 She was a fallen-saintly cinema-keeper, owning and operating a seedy movie house called the Venice, at 209 Park Row, where after 13-hour stints selling tickets, perusing the neighbourhood and talking to all comers, she would go out and help the ruined men of the Depression who gathered in that area. Mazie has survived into the modern imagination really only because in 1940 Joseph Mitchell published an essay about her in the New Yorker. 'Mazie has a genuine fondness for bums,' says the intro to the article, 'and undoubtedly knows more bums than any other person in the city. This tells about her movie house to which bums are admitted free; about her Samaritan tours of the Bowery and environs distributing change to the bums; dragging the drunk ones to flop houses, calling an ambulance, when one has been injured. Fanny Hurst (a novelist) visits Mazie frequently, and admires her greatly. "She's the most compassionate person I've ever known. No matter how filthy, or drunk or evil-smelling a bum may be, she treats him as an equal," she said. Given that Maizie was real, I ask, and that the way you tell her story rings so true - how much did you need to invent? The New York Observer quotes Jami as saying that Mazie felt like a piece of New York she didn't want people to forget about, and if Mazie is a compelling heroine so too is New York, equally flawed and equally heartbreaking. 'It’s a rough and tumble place, full of people from all over the world,' Jami says. 'It scales high and low and everything in between. 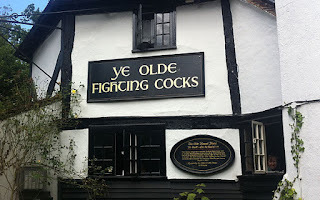 An excellent place to drink gin.' And she has peopled it with some glorious characters - an on/off lover, The Captain, who sends the postcards Mazie pastes inside her kiosk; George the neighbour, her heartbreaking brother-in-law and impossible sisters. They come to life through Mazie's diaries and letters, and in interviews conducted by Nadine, a young modern film-maker who is conducting what is turning into a kind of oral history project, and the hipster who found the mythological 'memoirs'. It could be a mess but it is extremely readable, a full-on page turner, with the mood of one of those tender-hearted madcap wise-cracking 1930s comedies. If they made a film of this you'd want Myrna Loy, Buster Keaton and Louise Brooks to be in it, and Jimmy Cagney and Pat O'Brien, and Gloria Grahame and Mae West - all the grand old sassy dames and poignant over-coated guys. She does really take you to those streets. I ask her how she gets there: 'For Mazie, I read a lot of books! Lots of non-fiction books and some photo books and also I watched films from the era and little clips of things on Youtube. I found a great website that had audio recordings from the era. Basically anything that put me in the room. side and watched her for a while in her candy-colored tutu. can’t dance on the street forever, is also what I was thinking. But I want her to anyway. know. I got so many names in my head all the time. you, that’s what they told me. I said they were lying, and they laughed. I said: What’s so funny? But then they never answered. He said: Old enough for what? enough for anything. They don’t know but I know. and she stomped. My mother was a tremendous noisemaker. She said: She lets me keep a penny for every ten we make. I said: That doesn’t seem fair. She said: It was her idea to have the show in the first place. Bella says people with the brains make the money. I said: You got brains. She said: I just love to dance. show me where she hid her change. I said: We could trade secrets. Jeanie showed me all the change she had, a few bills at least. girl. Finally she got very close to my ear. Jeanie said: But what would Rosie say? Jeanie said: Do you think that’s true? Wouldn’t she miss us? I said: We’re just daydreaming here, Jeanie. Don’t ruin it. Jeanie said: All right. I guess she’d be in the front row then. I said: She’d be our biggest fan. don’t even mind the horseshit. for a woman, that’s what Louis says. Of course he says that. I said: Rosie found you at the track. How’d she find you? I poke him with my finger. I said: Is it cause you’re so tall, Louis? I said: Cause you stick out like a giraffe? the lollies till they’re gone. any of those stinking candies ever again. Rosie, and she handed me the bottle. I said: What are you thinking about? I said: Well that’ll do it. She said: Do you remember what happened in Topsfield? We were all out together, a real, happy family for the day. Rosie wedged between him and Mama. Papa was not handsome. made him always look furious, which he was. Lines don’t lie. calm, like turning himself inside and out was nothing to him. But to Rosie I said: I remember that he left us that day. Because I knew that she wanted that to be my only memory. stomach was sick from sweets. Mama said: Should we try to find him? I don’t know. enough to understand that the question was not a simple one. But I can’t remember her saying anything. She was just simmering. Mama said: Yes, we’ll wait. Rosie said: If you don’t go find him, I will. herself. Rosie started fighting for us to just go home already. couldn’t have helped much either. Jeanie nearly rolled off her lap. She wasn’t pretty anymore then, Mama. Her hair was thin. She pulled clumps of it out, and so did he, when he was mad. mama, her face sunk in her hips. Rosie had known where he was all night. Mama did, too. faster and faster, laughing and grinning, they were almost hysterical. that I hold in my heart. They were gorgeous and free. The grass tickled the backs of my legs. found Papa. He looked happy, is what I remember thinking. you pointing to us. You shamed him. You were so bold. into the background except for Rosie and Papa. I said: It was a long ride home. Rosie said: I felt like I aged ten years in that time. Rosie said: Until I passed out from the pain. She was too drunk. She sounded confused. I said: You were right, and he was wrong. Rosie said: I’m sorry I left you there. I said: We didn’t blame you for leaving us. I didn’t, anyway. Jeanie didn’t even know what was happening. Rosie said: And I came back for you didn’t I? She said: I take care of you, right? I said: Rosie, we love you. You know we love you. Rosie said: I’m not bad, am I? I said: You’re not. You’re a good girl. her to remember any of it. The sun was rising when I took off my shoes this morning. on the pillow, and prayed for peace. God heard me. trading isn’t really yours in the first place. was to be warm and close like that forever. She said: What if you get a baby in there? never fit into my pretty dresses again. goddamn diamond rings. I only ever dreamed of freedom. The love I have is with the streets of this city. Oh, Rosie. My poor, dear Rosie. out she’s a Phillips girl, after all. around her neck, and the coins clinked together as she moved. Rosie has always had a thing for them. was nowhere all of a sudden. reminded Rosie existed. How can I forget? She said: I needed to meet you in order to help your sister. You are all in the same home. You are living one life together. and the last one, and the next one, too. finger, she traced a few lines on my hand. She said: Life, money, good. She was nodding her head. the top of my hand, and then a line beneath that. She said: But this is no good. She squeezed my hand tightly and released it. She said: No love for you. You will spend your life alone. I pulled my hands back. I said: I got company whenever I like. easily it was like they were husband and wife. Rosie said: You already know what it says. didn’t know why it was so serious. Rosie said: Now that you’ve met them, look again. love you. I don’t need to look at their palms to see that. They’re going to be who they’re going to be. She said: I still think it can happen, Rosie. smacked each bottle down in front of Rosie. went across the river, and I gathered these for you. She handed Rosie a piece of paper. She said: I wrote down instructions. How much, how often. needles in you and they say it lights a fire within your womb. She held Rosie’s hand again. She said: I lit candles for you, my friend. were her babies all along, I thought we were enough for her. from Little Italy, they wouldn’t go anywhere near them. her. Rosie, please stop, I was begging her. seem right, this much pain. longer? Gypsy con or not, it doesn’t change Rosie’s dream. then you’re done with it. fun, I’ve had my fun. Eventually I had to come back though. Twenty years old. I’m sure I should be having more fun. Rosie now. I lost this summer to her belly. Watches me with her eagle eye, thinking I’ll leave her. tough to last that long. I said: I could survive out here. He said: You don’t want to try. I said: I could do it. You wanna see me? He said: You got a home, you’re lucky. I said: Why don’t I feel that way? Then he got gentle with me. He said: If someone loves you, go home to them. rest of my smokes and wandered home. change from yelling I guess. She said: Don’t you want a sweetheart? I said: The whole world’s my sweetheart. I am suffering from Deadline-itis. Two deadlines glaring at me with fanged intentions. As always during these stressful moments, it seems that all the world apart from me is in holiday mode; either on holiday or about to depart. 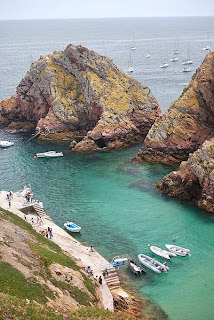 I go out so rarely at present due to the pressure of work that when I receive an invitation from friends who have arrived here on the coast, it is a rare treat and reminds me that the Côte d’Azur is more than a Spaghetti Junction for tourists. It has some quite remarkable locations and buildings, each with its own story to tell. According to legend the hotel's twin cupolas were modelled on the breasts of the dancer-actress-courtesan, Carolina Otero, christened 'la Belle Otero'. Until recent renovations, the restaurant on the hotel's top floor was named La Belle Otero in celebration of the Spanish beauty. 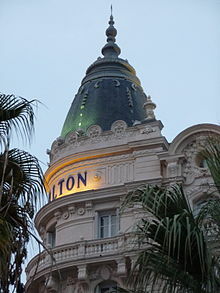 The friends I linked up with this week were staying at the Carlton Hotel in Cannes. A seven-storey linen-white building boasting 343 rooms as well as ten capacious penthouse suites on the top floor with views to the Bay of Cannes beaches and the Mediterranean. ‘Luxe’ as the French say. Deluxe beyond my dreams. My pals were staying in the Grace Kelly suite. We drank champagne on their private terrace and enjoyed the sun descending over the water. One of them asked me whether I had known that the Carlton with its Belle Epoch domes had been built in 1911. I would have mistakenly dated it a little later and we began a conversation about the birth of tourism along this coast. 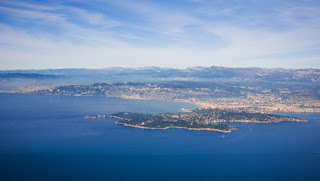 Antibes, Golfe Juan and the Cap d’Antibes were the haunts of the Americans whereas the British and the Russians preferred Cannes. Nice was more cosmopolitan. Each of these three resorts has its grand hotel. The Negresco in Nice, the Carlton in Cannes and the mythic Hotel du Cap right on the water at Antibes. And each hotel has a remarkable and glittering history. So, as I will not be going on holiday this year I will visit each of them here! In 1887 it was sold to Antoine Sella, an Italian hotelier. It opened as the Grand Hotel du Cap in 1889 and has never looked back. Its Eden Roc pavilion was built in 1914. The same year as its heated seawater pool, which is truly invigorating to swim in, was cut out of the Mediterranean cliff-side. Thirty-three cabanas were built into the rocks facing the sea. Marc Chagall spent time drawing sketches in one of these cabanas. I am assuming that the pool was heated back in 1914, because it would have been used exclusively for winter swimming. During the long hot months of summer, this coastline was deserted. Until the early twenties when high society and the intellectual elite, led by the wild energy of hugely wealthy Americans, took to the beaches and to villas nesting in pine groves to party, paint, write and compose through all seasons of the year. The Murphy couple once rented the Hotel du Cap for an entire summer. This was unheard of in the early 1920s because at that stage this coast was exclusively a winter resort. It is claimed that it was Coco Chanel who invented ‘the tan’ in 1923 when she was photographed in a backless dress exposing skin that had caught the sun while on a French Riviera cruise. Up to that point, weathered flesh was associated with the working classes, but from that summer onwards, it was chic to allow one’s skin to be tanned. Sporting a suntan became a sign of wealth and beauty. Scott Fitzgerald, one of the Murphys' friends and regular house guests immortalised the Hotel du Cap as the Hotel des Etrangers in Tender is the Night. Most of the major film stars who are flown in for the Cannes festival stay at the Grand Hotel du Cap. 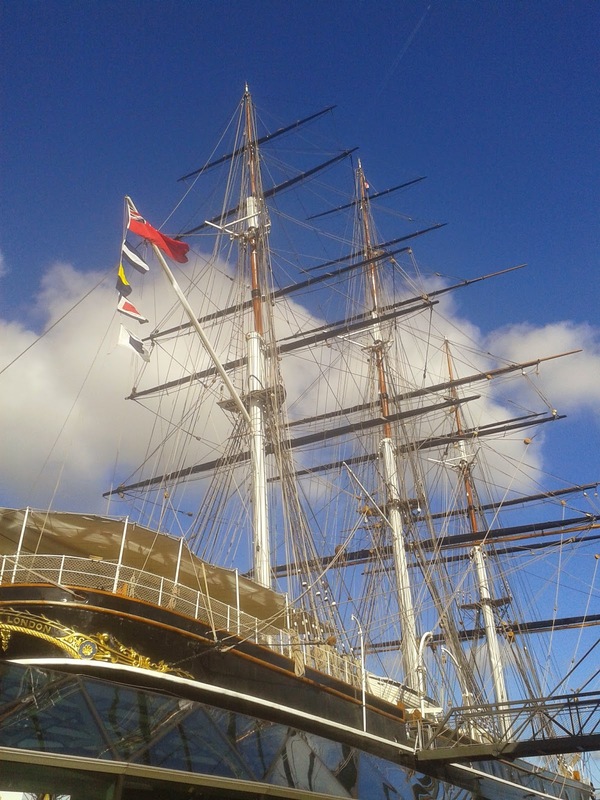 Past visitors have included Orson Welles, Ernest Hemingway, Marlene Dietrich, Churchill, De Gaulle, J.F. Kennedy and the Burtons who honeymooned there. In 1964, Rudolph August Oetker, a German industrialist, was sailing with his wife along the Riviera coast and spotted the hotel. Five years later he acquired it. This very prestigious address set in eleven acres of magnificent palm and pine gardens is now part of their “bouquet” of international hotels known as the Masterpiece Collection. So exclusive is it that it only opens for the season in late April before the film festival and closes in October. Until recently, it was renowned for accepting only cash. Guests either paid their bills from suitcases of money or wired the funds on ahead. This policy changed a couple of years back. The Carlton Hotel (now managed by Intercontinental). 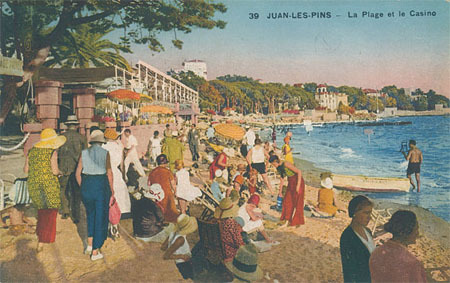 The site of 58 Boulevard de la Croisette was purchased in 1908 by the British businessman, Henry Ruhl, who invested in luxury hotels. In order to build on the location he began looking for investors and found the majority of the money from the Grand Duke Michael Alexandrovich of Russia, youngest son of Emperor Alexander III. The Carlton was opened in early January 1911, but reached it definitive version in 1913 after Ruhl had purchased an abutting hotel, La Plage, and used the space to create a new wing for the Carlton. Ruhl chose the name Carlton because there was a hotel in London with the same name. It is Scandinavian for 'town of the free man'. Grand Duke Michael, rather a ladies man, had been sojourning regularly in Cannes since the late 1890s. He financed the construction a golf course at neighbouring Mandelieu-La Napoule. Back in Russia he spoke of the Riviera town of Cannes as at a 'city of elegant sports'. Soon Russian high society was flocking to this coast and spending vast sums of money. 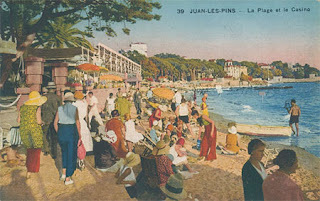 Their wealth and extravagant living, along with members of the British royalty who also frequented this Riviera spot, certainly put the town on the map. The Carlton's Belle Epoch luxury only lasted one year due to the outbreak of war, at which point the hotel was requisitioned as a field hospital. One of its more famous patients was the writer Blaise Cendrars who in 1915 was seriously injured and was obliged to have his arm amputated at the makeshift hospital. There were tough days post-war for the Carlton. Europe, France, was in a slump and the Russian Revolution of 1917 caused it to lose vital clients and wealth. In 1919, it was on the market for one million francs. 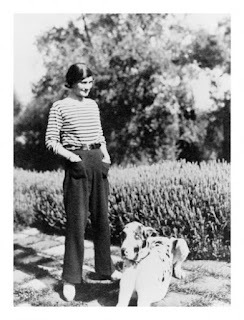 In 1920, Coco Chanel was in Cannes with her boyfriend of the moment, Grand Duc Dmitri Romanov (nephew of Michael who had helped finance the establishment). She was there to meet with an exiled Franco-Russian perfumer to create her own essence. The result was Chanel 5. Brilliant and forward-thinking as she was, Coco was the first designer to use her name to brand her perfume. In January 1922, the Carlton was given the opportunity to host the League of Nations conference which unfortunately did not achieve its goals but it did give birth to the Societé des Nations which has evolved into the United Nations. A political gathering of such eminence gave much-needed publicity to the hotel. Fast forwarding to 2011 when the G20 was hosted in Cannes, Obama occupied the same suite as had Colonel Harvey, the US ambassador who had represented the United States at the League of Nations in 1922. Grace Kelly met her in Prince, Rainier III of Monaco, at a prearranged rendezvous at this hotel. At the time she was shooting To Catch a Thief with Cary Grant directed by Alfred Hitchcock. Many scenes were set at the hotel. The Rainier-Kelly courtship was brief and Hitchcock was a witness at their wedding. Fascinatingly, the Greek shipping tycoon Aristote Onassis had been attempting to set up a marriage between Rainier and Marilyn Monroe. While on the subject of 'catching thieves', the Carlton has been the target of several high-profile jewellery heists. Two in particular, one in 1994 when the thieves got away with over $60 million worth of jewellery and precious stones and another in 2013 when the stolen cache was reported to have been somewhere near $137 million. In both cases, nobody has been charged, no criminal cited as responsible. Thriller stories in their own right! The Negresco in Nice. 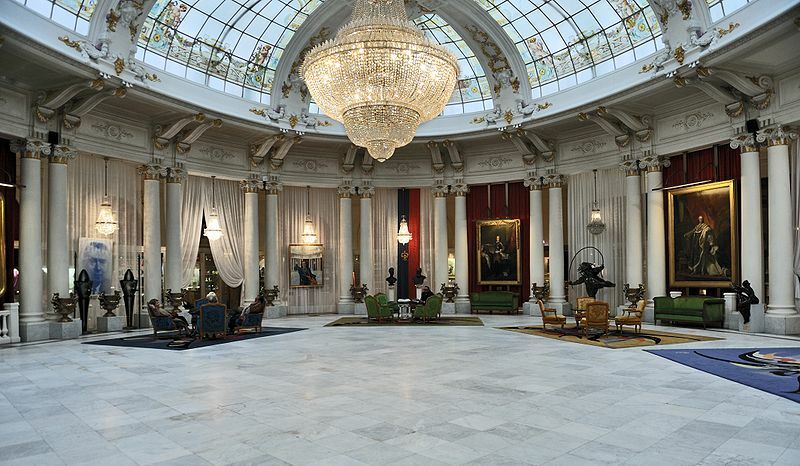 The last of this trio of grand hotels to be constructed, the Negresco dates back to 1913. A Romanian innkeeper's son, Henri Negrescu, who at the age of fifteen left his home town of Bucharest to head for Paris to become a gypsy violinist, was the inspiration behind the birth of this pink-domed beauty. 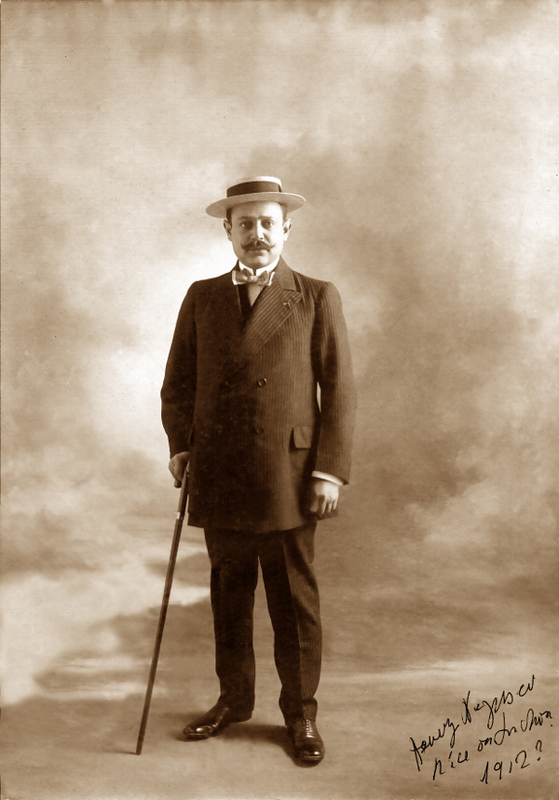 After Paris, Negrescu worked in hotels in London and Monte Carlo, but decided to settle on on the Riviera coast where luxury tourism was a burgeoning business. He took the job as director of the restaurant of the Municipal Casino in Nice. It was here he commenced plans to build a sumptuous hotel to attract the very wealthiest of guests. Once the finance was in place, he commissioned the star architect Eduard-Jean Niermans to design the hotel. The design included the pink dome (see above). 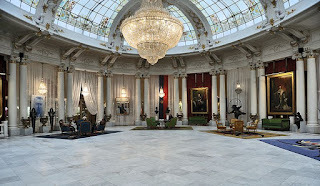 Whether Niermans or Negrescu wanted the dome to flag to their very wealthy clients that the Negresco would match the style and luxury of the Carlton in Cannes, I do not know. In its hall hangs a magnificent crystal chandelier. It boasts 16,309 crystals and was crafted by Baccarat for Czar Nicholas II who was never able to take delivery of it. It remains one of the largest crystal chandeliers in the world. The hotel opened its doors on 8th January 1913. When WWI commenced, the Negresco was also taken for use as as a hospital. Unfortunately for Henri Negrescu the downturn in tourism after the war and the renovations required to give the hotel back its five-star status led him into dire financial straits. He never recovered his investments. The hotel was seized by creditors in 1920 and sold to a Belgian company. Negrescu died in Paris that same year, a broken and ruined man at 52 years old. The hotel has had a checkered history with some challenging financial ups and downs over the decades until 1957 when it was sold to the Augier family. Renovated by Madame Jeanne Augier to a standard that included mink bedspreads, it has clawed back its quality rating. Today, its Chantecler restaurant has two Michelin stars, and the hotel is a member of the Leading Hotels of the World. Among the legion of famous names who have passed through its doors, Salvador Dali comes to mind. I do smile when I think of him tucked up beneath his mink cover. The travel writer Eric Newby wrote glowingly of a meal he had eaten in the Chantecler restaurant at the end of his journey for the book, On the Shores of the Mediterranean. Paul Theroux in his Mediterranean travel book, Pillars of Hercules, loudly criticises Newby for his blatant kowtowing. Having written two Mediterranean travel books myself (The Olive Route and The Olive Tree) travelling as a woman alone to some pretty dangerous territories, there are a few handfuls of mud I could sling at Theroux, but not here. Here, I will finish my visit to three hotels built to feed the dreams of the wealthiest of tourists and this desk-bound writer by a quote from Theroux's chapter on Nice. (Note: Paul T does not give the name of his 'friend's' book!). 'There was a placard in front of the Negresco's Chantecler restaurant with a quotation from my friend Eric Newby, cobbled together from the six pages he devotes to the Negresco in his book on his trip around the Mediterranean: "One of the greatest restaurant (sic) in France… newest Mecca for gourmets… most beautifully presented meal … my entire life …best I ever ate or am likely to eat," blah-blah-blah. 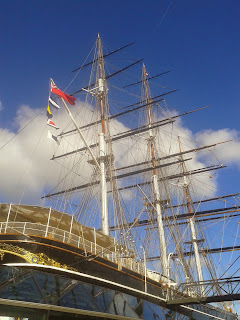 So, back to my deadlines after a day out as a virtual tourist.